Here is a comprehensive list of all of the Android statistics and facts that you need to know. Android is the world’s most popular mobile operating system and the mobile platform for the digital behemoth Google. 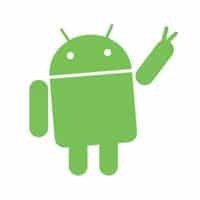 Unlike Apple’s iOS, Android is not married to any one hardware manufacturer, making it easier for its market share to grow. So how big has Android become? Here are all the Android statistics I was able to dig up in my digital travels. With so many Android versions available, a huge smartphone market share and 2 billion users, there is much to measure. As always, I will be constantly updating this post with new and updated stats, so be sure to check back often for new content. How many people use Android devices? How many people use Google Pay? Report 3: Mobile report bundle (Android, iPhone/iPad, Verizon, Samsung, Xiaomi and Mobile Statistics Reports).